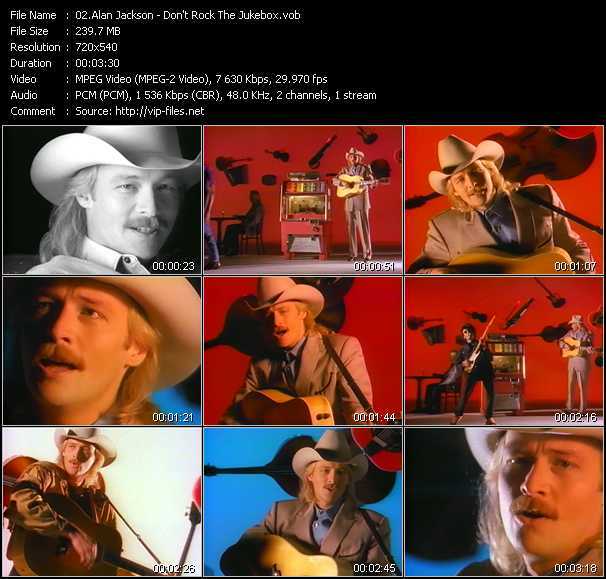 Alan Eugene Jackson (born October 17, 1958) is an American country music singer, known for blending traditional honky tonk and mainstream country sounds and penning many of his own hits. He has recorded 15 studio albums, 3 Greatest Hits albums, 2 Christmas albums, 2 Gospel albums and several compilations. Jackson has sold over 80 million records worldwide with more than 50 of his singles having appeared on Billboard's list of the "Top 30 Country Songs". Of Jackson's entries, 35 were number-one hits, with 50 in the Top 10. He is the recipient of 2 Grammys, 16 CMA Awards, 17 ACM Awards and nominee of multiple other awards. He is a member of the Grand Ole Opry, and was inducted into the Georgia Music Hall of Fame in 2001.